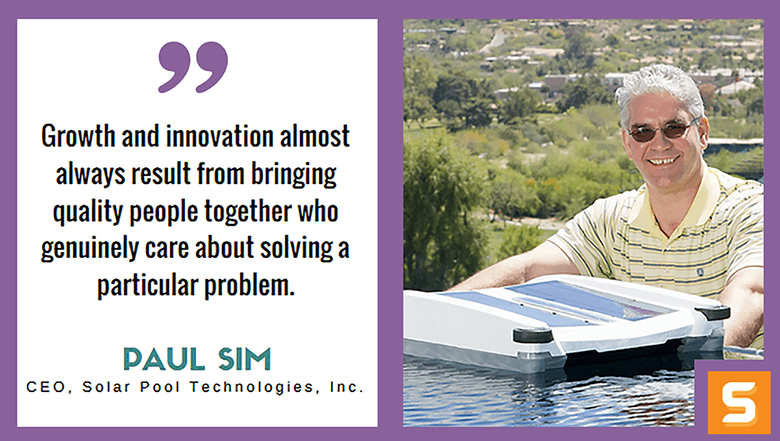 An Interview with Paul Sim Business Veteran & CEO at Solar Pool Technologies, Inc.
Paul Sim is CEO of Solar Pool Technologies, Inc., a Tempe-based company that developed and introduced the first solar-powered robot for cleaning swimming pools. In partnership with Dennis Rusza, inventor and current co-owner, Paul and the company launched the Solar-Breeze NX through Kickstarter in August of 2015. Since then, it has grown to over a million in sales. A business veteran, Paul graduated from Carleton University with a degree in Economics in 1984, and since that time has led two successful startups, as well as led turn-arounds in divisions of Fortune 500 companies. Over his career, Paul has worked in a wide variety of industries including computer software, farm and construction equipment, emergency vehicles and swimming pool equipment. In this interview with Startup Savant, Paul shares his experiences as the CEO of Solar Pool Technologies with a mission to cut costs on electricity consumption. He also shares his favorite aspect of being an entrepreneur and how to overcome your greatest fears. Find someone who is successful and talk to them as much as possible. Find some people who have failed and talk to them as much as possible. Learn as much as you can from people who have tried and succeeded, as well as those who have tried and failed. Be sure to stay updated on this extremely cool robotic pool cleaner by following Solar Pool Technologies on Twitter! What ignited the spark in you to start a business? Where did the idea for Solar Pool Technologies come from? Swimming pools are the second largest consumer of electricity in sun-belt homes next to the heating and air-conditioning system. It can also be very expensive and time-consuming to keep them clean. Yet a well-maintained pool can be a tremendous source of entertainment, fun and relaxation for either an individual homeowner or a family. Solar Pool Technologies, Inc. is dedicated to reducing the cost and hassle of keeping a swimming pool clean, and doing this in a more sustainable way that lowers the carbon footprint of a home with a swimming pool. The Solar-Breeze solar powered robotic pool cleaner was the brainchild of Denis Ruzsa, one of the founders of Solar Pool Technologies, Inc., along with Terry Masske his partner in invention. I saw an early version of the product and, as a pool-owner myself, saw the potential to help people save time and money, and reduce the frustration of owning a pool. I became an investor and CEO of the business and since that time we focused on refining the technology and building our customer base. Interacting with our customers is really my favorite part of being an entrepreneur. Taking something from the idea stage to where it is a viable and thriving business is very exciting. It requires a high level of engagement and interaction with your customers – or potential customers – to truly understand the problem that you are solving for them and adapt your solution to best meet their needs. How do you generate new ideas for Solar Pool Technologies to keep growing? Is there a secret that you have figured out over the years? There isn’t really any secret sauce for generating new ideas. Growth and innovation almost always result from bringing quality people together who genuinely care about solving a particular problem. Then you have to give them the freedom and tools to collaborate to find an innovative solution to that problem. In your experience, what is the best way to build a successful customer base? Are there any mistakes that our readers can learn from? In the early stages of a company when you are still struggling to define your product or service and determine the best way to solve your customers’ problem, you have to talk to as many customers as possible. Ask as many questions as you can. Be sure you really understand their challenges, wants and needs. Then once you have really developed a product that solves their problem and you have your first few customers who love it, use your happy and excited customers to help build your base. 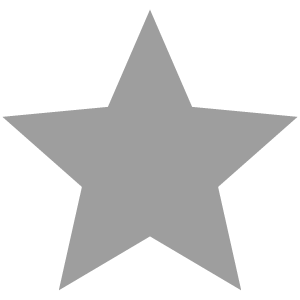 Testimonials and referrals from satisfied customers will go much further than any advertising. Let the world know about them through your social media activities. Post videos on YouTube. Write articles in LinkedIn. Tell everyone you can about what you’re doing. Get as much free media as you possibly can and then . 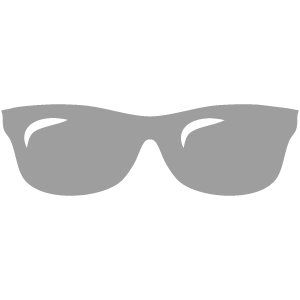 . . you can start to think about other more traditional ways of building awareness. My greatest fear is that my skills as a manager and marketer will become obsolete. That I won’t keep up with the evolution of new strategies, tactics and tools for managing a successful business. 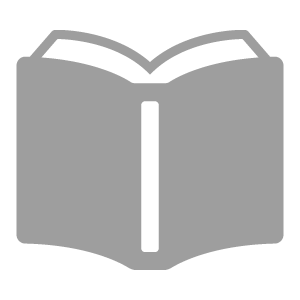 The best way to control this is to read voraciously – business journals, magazines books, online blogs, podcasts –all provide a way of staying current. And then you also need to make sure you hire smart people who challenge your own paradigms and bring new and exciting ideas into the organization. Who has been your greatest influencer along your entrepreneurial journey? How did they shape Solar Pool Technologies? There have been many influencers along the way, but the greatest has been my spouse. Not only has she taken an active role in helping to build the businesses, but she has given me the support I needed to carry on when it seemed like the best option was to walk away. I don’t believe you can be a successful entrepreneur unless your spouse truly supports what you’re doing – through the good times and bad. What do you feel is the major difference between you and other entrepreneurs? Is there something that has guided you along the way? I think most other entrepreneurs are actually smarter than me. I’m continually impressed by the skill and ability of other CEO’s that I meet. I make up for that by my stubbornness and perseverance. There have been many opportunities to walk away from this business during some of the difficult challenges we’ve faced. And in some cases, walking away would have been easier than staying and working through those challenges. However, the positive feedback we consistently received from our customers convinced us that the idea was sound – we just needed to find a way of organizing the business around the idea in a way that would make it successful. If you listen closely enough to your customers, they will show you the way. Have you faced any failures with Solar Pool Technologies? How did you overcome it? We’ve had many failures, the most recent of which was losing our funding to manufacture our product and having to wind down the business for almost a year until we could find the capital to re-launch. Once again, we overcame this challenge by listening to our customers who told us that if we launched an updated version of the product on Kickstarter they would support us. And sure enough – they did. We had one of the most successful campaigns in the history of Kickstarter and we may not have gone that direction without the encouragement of our customers. What was the best piece of advice you have ever gotten from another business owner? The worst? One of my early mentors told me that the only thing I really needed to know about managing people in a business was . . . feed the lions, ride the horses and shoot the dogs. While it is a bit harsh – it’s turned out to be a pretty good guideline to follow over the years. I’ve had a lot of bad advice. It’s hard to decide on the worst. The most expensive bad advice likely had to do with purchasing a business at well above its value (not this one). I wish that some of my advisors on that project had encouraged me to be a bit more skeptical. What advice would you give to aspiring entrepreneurs in Arizona who have a business idea but don’t know where to get started? Find a mentor or group of advisors that you can trust. Get connected with as many entrepreneurs as you possibly can. Find someone who is successful and talk to them as much as possible. Find some people who have failed and talk to them as much as possible. Learn as much as you can from people who have tried and succeeded, as well as those who have tried and failed. Next – talk to as many customers or prospective customers as you can. Make sure this great idea you have is really solving a problem for them. Is your product or solutions really something they would want to buy? Even better yet, get some of those customers to sign an order for the product or service you’re planning to build your business around. Having this kind of validation from potential customers makes business building a lot easier.